I'll say it again... Oh, My Friggin Gawd!!! As most of you know I rarely have a completely positive post about a product...Aside from Dr. Bronners - Everyone who follows my blog will know I love Dr. Bronners. Anyway, I reviewed the ingredients on the HURRAW! website and decided to ask them for some samples of their lip balms and OMG! Okay I sound like a teenager but OMG! This stuff is fantastic!..I know it's only a lip balm but I really do love it. The package didn't take long to get here and they had them well wrapped and in the cutest little natural drawstring bag. Also included was a sticker-thingy, a brochure and a hand written post card! "Super smooth, not draggy, not sticky, not sweet, not too glossy, not too smelly, never grainy, long lasting; plus, it had to hold up to being in a back jeans pocket all day without melting! It took us several obsessed years to formulate Hurraw! Balm and put it through all the rigors. We love it, use it, and hope you do too!" Everything they say here is absolutely true, well I never had the chance to check the melting in the back pocket part, but it is sooo smooth and creamy just like the finest creamy chocolate. They hand mix small, fresh, handcrafted batches and individually pour each tube of HURRAW! Balm. Through a slow careful process they infuse their balms with raw seeds, pods, fruit zests, barks and roots for flavor and natural color, using fair trade, organic, vegan and raw ingredients from reputable suppliers. Their certified organic, raw oils are cold pressed and centrifuged extracted, nut/seed oils and butters that have been processed below 118F degrees and are still chocked full of their essential nutrients and enzymes. They will even provide certificates of proof that the ingredients they use are organic. HURRAW! Balm is also a Certified Vegan product (CCIC approved). 'Vegan' means no animal products (ie: beeswax) are included in their product. They are also cruelty-free. To top it all off, they are completely toxin-free, Gluten Free, GMO Free and Kosher. Their packaging is recyclable...Oh and the cute little bag they came in is a 100% cotton reusable teabag! If you want to learn even more visit their About HURRAW! page. The flavors I received were Grapefruit, Cherry, Coconut & Chocolate. I never tried the Grapefruit as I will be passing this one on to my mother who loves grapefruit... it has a fresh light grapefruity scent...You know the scent when someone across the table is peeling a fresh grapefruit...That about sums it up. The Black Cherry is lightly tinted with wildcrafted Alkanet root and smells exactly like cherry lolipops. All the ingredients that can be organic or wildcrafted are organic or wildcrafted. The Coconut has a warm sweet fresh coconut scent like a huge organic delectable toasted macaroon. The texture is so smooth and creamy just like coconut milk...I'm am completely in love with this lip balm...It should be call Mouthwatering Macaroon! And lastly, OMG - I had to say it again ;) is the Chocolate. I almost didn't want to try the chocolate because when you think of chocolate, it tastes fabulous but the scent is not all that great...This is not simply chocolate flavored...it's wow, I'm-in heaven with a mocha, vanilla-caramel dreamy treat. I had everything I could do not to eat it...Ummm...I actually did take a taste...I'm afraid if I wear this people will want to chew the lips right off my face! You get the point - I love the Chocolate HURRAW! Out of all the products I have tried lately even though some were very nice, I'm just not big into cosmetics or personal care stuff so most things I've tried either was shared with friends or I have them in my refrigerator to make sure they last as I probably won't use them often. The HURRAW's are already in my pocket and they are staying there. They say they are developing one with SPF too so if it is a non-nano mineral SPF - I want one! Okay, okay...I can't do a review without a negative...That's just me, there's good and bad in everything. Not every one of their lip balms are made entirely with organic ingredients...They are all 100% natural and some are entirely organic (aside from the vitamin E), so if you want completely organic then read the ingredients for each one...They fully disclose all ingredients. (None of that proprietary blend crap there). And another complaint I have - and this is a big one...Why the heck do they only offer lip balms? I want to see an organic body balm, organic sugar scrub and an organic castile soap with those heavenly flavors! Thanks HURRAW! for making me love to lick my lips. These would make the perfect colorful yummy additions to your Easter baskets! YOU CAN BUY HURRAW! AT MY AMAZON STORE. Wow! You just made our day Judie (and made us smile alot too)! The HURRAW! Balms do not use fragrance oils. I am unable to use anything with synthetic fragrance. They use only organic food flavorings and/or pure essential oils...It is extremely important to me that products contain as many certified organic ingredients as possible and absolutely nothing synthetic. I was just looking at your products this morning actually and would love to try out a few things from your line. Thanks for the post. "The processes for making organic flavors are much the same as for making natural flavors. The ingredients are organic rather than just natural. You start by using only certified organic ingredients...when calling it 100% organic you must use only certified organic ingredients and nothing else. Nature’s flavors carries both 95% and 100% certified organic flavors. It is our goal to produce only 100% organic flavor concentrates and extracts as the ingredients become available. In many instances we produce our own organic ingredients to satisfy our strict quality control requirements. Because the industry is still very young the technology's to make these ingredients are still evolving. The only solvents that we use in the development of organic and natural flavors are filtered RO water and organic alcohol. If we can’t extract the ingredients through these methods then we don't do it. Steam distillation is another method we employee. Fortunately this is in most cases the only methods needed to manufacture these unique flavor concentrates and extracts. A simple and common process for making vanilla extract is to take organic vanilla beans and grind them to a pulp then allow them to soak and extract in an organic alcohol/water mixture for a period of time sometimes for up to several months. Normally for a standard organic vanilla extract you would extract for a period of not less than fourteen days. That's how long Nature’s flavors allows its organic vanilla extract to age and extract. This method is common for our citrus and other fruit flavor extracts as well. There are usually some filtering and clarifying techniques that follow the extraction process before being bottled or packaged. There are no chemical residues because there are no chemical solvents used. Many of the organic flavoring ingredients are derived this way first before being incorporated in to water based or oil based organic flavor concentrate. To make the organic flavor concentrates water soluble you must emulsify the oils that were derived and separated from the extraction process or steam distilling and that usually involves using an organic gum or starch and under high pressure and shearing. This process forces the oils and gums to be broken into very small particles and cling to one another with out reforming into there basic building blocks again. The entire process is safe and effective for producing the finest organic flavor oils, flavor concentrates, and flavor extracts. Nature’s flavors has pioneered many of these methods for producing these organic products. We are proud of our flavorings, spices, coffees, and all our organic products. We hope they bring you much enjoyment and satisfaction. " Maiden here again...I was super excited when Hurraw came out (I'm a lip balm fanatic and have literally bought over a 100 different ones). They are unfortunately not my all time fave (which unfortunately I have yet to discover; either the flavour is wrong, it isn't moisturising enough, or it contains castor or olive oil which can cause dermatitis and break outs respectively - I still use lip products containing these oils but I have to be careful which is annoying). I've tried several Hurraw flavours (and was pleasantly surprised to not mind coconut and vanilla, which I usually dislike, being too sweet) but my faves are Grapefruit (one of my most favourite flavours and fragrances ever), Black Cherry (though I wish it was more tinted/less share, it barely shows on me), Earl Grey and Green Tea. I love that they have so many new flavours now. I just got the Nighttime/Moon one but haven't opened it. Do you have any new faves? 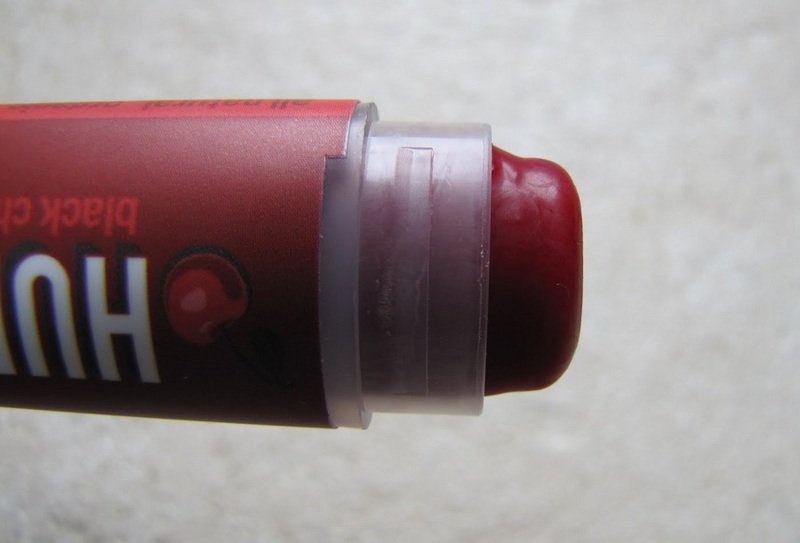 How about recs for organic lip balms that are super moisturising/long lasting (not requiring constant reapplication) without castor or olive oil? My fave formula so far is Burts Bees original BUT I don't like the peppermint and I have been disappointed by all the other LBs they've since released. But even the original is not as long lasting as I would like. It is the only LB I've used more than one tube of. Sorry for the anon comments, Google won't let me log in (my tablet is insanely buggy). EEK...I just typed up a detailed response and it disappeared! Anyhoo, I mainly make my own these days because it's just so quick and easy. I do use olive oil but it can be replaced with any oil, I often use sunflower oil as well.